We all want to make the most of our nest egg for the future but often don't know how to get started. 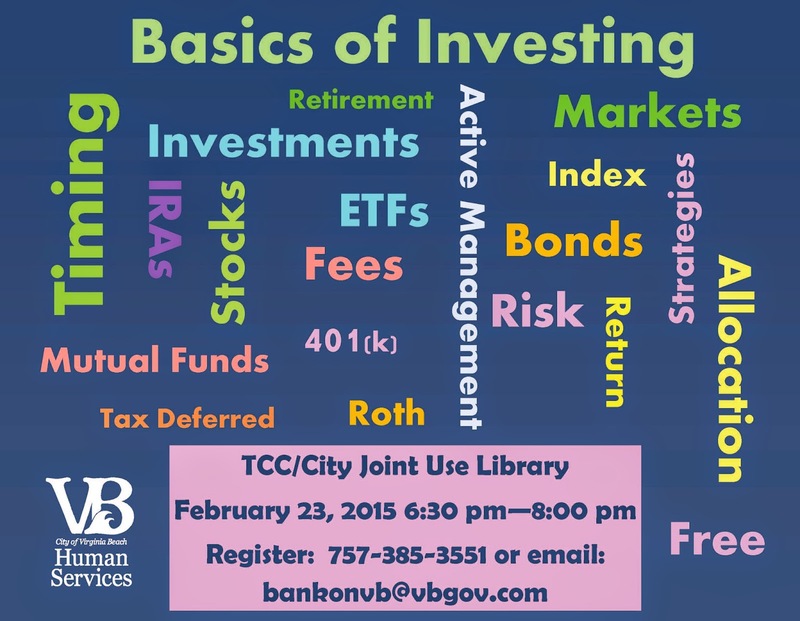 Bank On Virginia Beach is offering a special workshop to help you learn some of the terminology and strategies for investing. No sales, no gimmicks just good, no cost information to help you grow your portfolio! You will learn about different types of accounts to use when investing and how to minimize taxes while maximizing your earnings. Even if you are a beginner, this is a great workshop for you!